Try to only answer the phone when you know who is calling. Our curiosity is piqued by those unknown phone numbers, and many times, they look just familiar enough, but don’t answer your phone unless you know who it is, says the BBB. 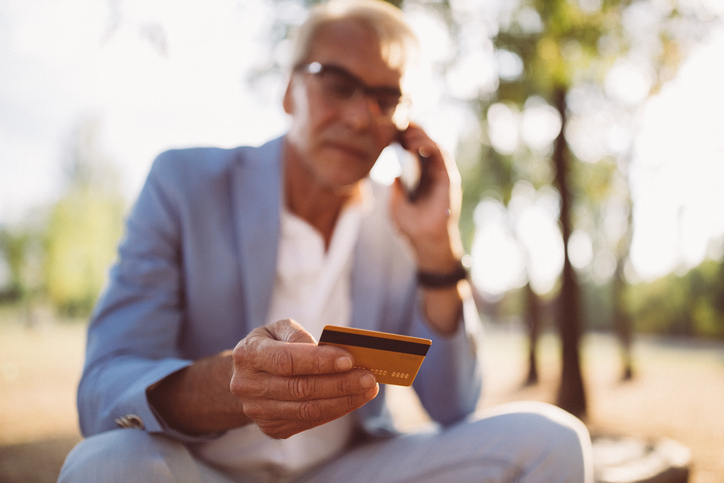 Today’s scammers are very convincing once you do pick up, pretending to be anyone from your grandchild to a bill collector from your utility company, but think about this: anyone who genuinely needs to reach you (like a family member or someone to whom you actually owe money!) will leave a message. Don’t provide personal information without asking why. In today’s digital environment, we tend to give away our personal information online with ease. But always question if a site really needs your contact information, credit card information, or Social Security Number. In fact, before entering any information at all, make sure the site has ‘https’ in its URL, which signifies that it is secure. Don’t send payments via wire transfer or prepaid gift cards. The bottom line is, no legitimate business only accepts these payment methods, so when this request is made, you can be pretty confident it’s a scam. Wire transfers and prepaid gift cards are the quickest and most untraceable ways to send money, according to the BBB. If you can’t pay by credit card, which has the most buyer security since you can dispute charges, something’s fishy. Don’t click, download or open anything that comes from an anonymous sender. This is most definitely the work of a scammer attempting to gather mass quantities of personal information or install malware on your computer. Always be wary of such unsolicited messages that don’t contain your name or other personalizing information and simply delete. If you’re afraid you’ll miss out on something by being too cautious, don’t be. Legitimate companies are well aware of the above scam tactics and more and, therefore, practice safe online and telecommunication practices. You won’t be asked to do any of the above or be contacted in suspicious ways by businesses seeking to do you no harm.